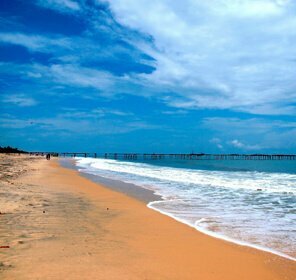 Also known as Cannanore, the Kannur beach is a beautiful place to sit and relax. 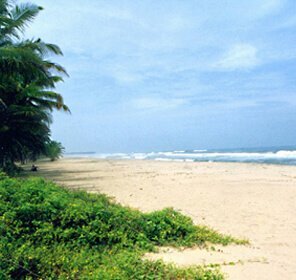 Kannur is mostly popular as the crown of Kerala due to its pristine beauty and natural treasures. 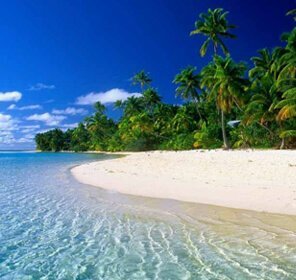 It is bordered by the Western Ghats in the east, the Lakshadweep Sea in the west, Kozhikode & Wayanad districts in the south and the Kasargod in the north. 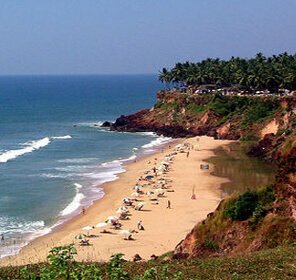 Kannur draws visitors for its pristine beaches, historical monuments, religious centers, natural beauty and many more. 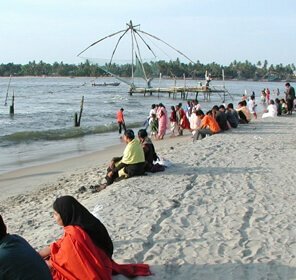 On the top of all, the hill stations along with the backwaters and rivers have enhanced the natural beauty of this place. There are plenty of hotels in and around Kannur, which are well furnished and offered with all modern amenities. 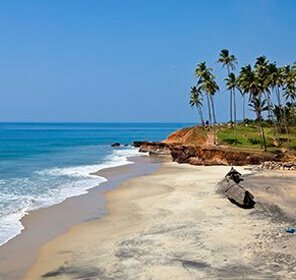 Referred as the land of lores and looms, Kannur has always been popular due to its various tourist attractions like Arakkal Museum, Bekal Fort, Thalassery Fort, Kannur Fort, Madayi Para, Overbury's Folly, etc., and temples like Oorpazhassi Kavu Temple, Kottiyoor Shiva Temple, Sundareswara Temple, Sri Raghavapuram Temple, Sri Mavilayikkavu Temple, Kizhakkekara Sree Krishna Temple and the Sri Subramanya Swami Temple. 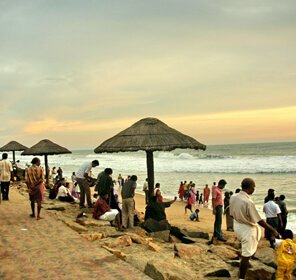 Kannur is also popular for its vast stretches of sandy beaches that draw millions of travellers with from all over the world. 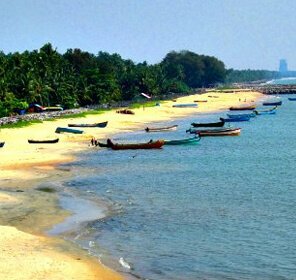 The most renowned beaches in this region are Payyambalam Beach, Kizhunna Ezhara Beach, Meenkunnu Beach, Muzhuppilangad Beach and Dharmadam Island. 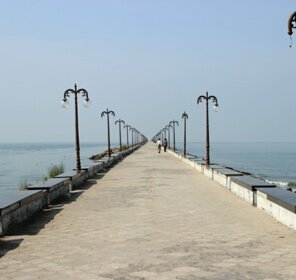 Undoubtedly, Kannur has lot to offer to its visitors. From beaches, temples, modern day museum to the ancient forts like St Angelo, you will find it all in the vicinity. How to Reach Fort Kannur? Calicut International Airport (118 Km) in the south and Mangalore International Airport (152 Km) in Karnataka state are nearest airports to reach Kannur. Kannur Railway Station (3 km) is the nearest railhead to reach the destination. 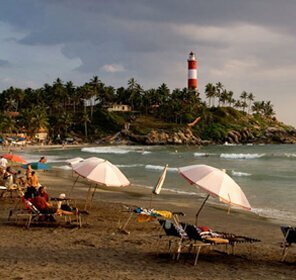 Also, Kannur is well connected from all major cities in India like Mangalore, Kozhikode, Thiruvananthapuram, Kochi, Bengaluru, Chennai, Mumbai, Coimbatore, etc. It's a major station of Southern Railways. Kannur has various private and KSRTC buses running inside and outside the Kannur district. 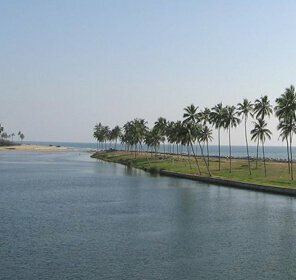 Kannur is on NH 66 (formerly National Highway 17), which is between Kozhikode and Mangalore. There are four bus terminals in the city namely Kannur Central Bus Terminal at Thavakkara, the KSRTC bus stand at Caltex Junction, Old Bus Stand nearby Jawaharlal Nehru Stadium, and the City Bus Stand nearby the District HQ Hospital. 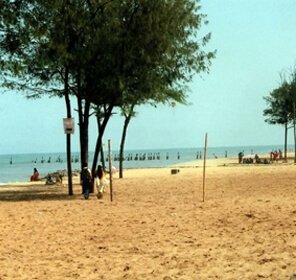 This place is also connected by bus to other major cities like Kochi, Madras, Kozhikode, Bangalore, Thiruvananthapuram, Coimbatore, Mangalore, and Madurai.